Light Vortex Astronomy - Article: Nikon D810A DSLR - Is there a point? Nikon D810A DSLR - Is there a point? 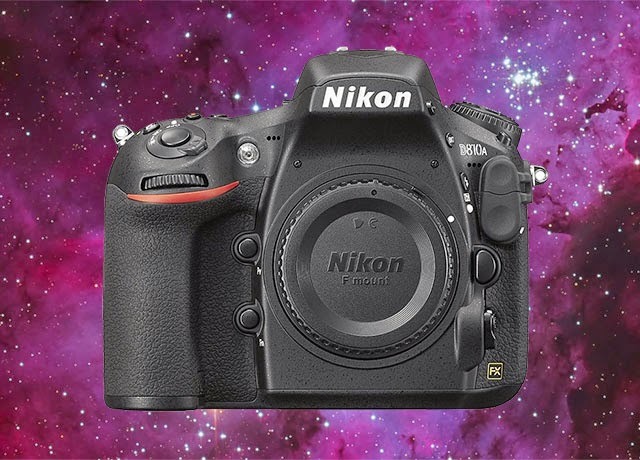 ​Nikon's new DSLR designed for astrophotography - their D810A model - was announced in 2015. This camera is the direct competitor to the Canon EOS 60Da DSLR that became popular among astrophotographers wanting an astrophotography DSLR. ​The price tag of this DSLR appears to be around $3,800 (USD). That is around £2,550 (GBP) at current exchange rate. That is a hefty price tag for what is essentially still limited in terms of astrophotography performance. Of course, this DSLR is full-frame and has a 36.3 MP sensor, so it promises to capture a lot of night sky, providing the telescope, focuser and adapters can fully illuminate the sensor, of course. The fact that it is a Nikon DSLR and not a Canon DSLR will not be that much of a problem these days, given that software is becoming increasingly supportive of Nikon DSLRs, and adapters for telescopes are available for pretty much any camera, particularly DSLRs. However, when all is said and done, this is after all, a DSLR. That means a lot of electronics onboard for what is needed for astrophotography. That in itself implies more noise produced and a higher operating temperature. Add to it the fact that it has no Peltier cooling system like CCD cameras do and it suffers a major blow in noise. I cannot over-estimate how important noise is when it comes to astrophotography, including both dark current noise and readout noise. Readout noise is also one of the major limiting factors in maximum achievable exposure Signal-to-Noise Ratio (SNR). Of course, sensor quantum efficiency will naturally be lower in a DSLR than in high-end CCD cameras or even a lot of medium-level CCD cameras. That means a less sensitive sensor when it comes to the entire spectrum, including the much-sought-after Hydrogen-Alpha signal (which this DSLR is designed to allow through as the regular IR filters are replaced with ones that transmit this signal - hence the marketing for use in astrophotography). The price tag is also for essentially a One Shot Colour camera. Though some people prefer these anyway, normally due to limited imaging time, it is a heavy price tag for a colour camera. Colour cameras generally allow less flexibility when it comes to imaging targets and combining narrowband data such as pure Hydrgeon-Alpha or Oxygen-III, with broadband data. They also suffer a reduced quantum efficiency over their monochrome counterparts. My advice (for anyone that wants it): If you are looking to spend around £2,550 on a DSLR like this purely for astrophotography (not for normal daily photography use as well), go for a CCD camera instead. Monochrome if you can, since that amount of money can buy you a good monochrome CCD camera and a set of filters. Even if this Nikon D810A DSLR is the same price as a monochrome CCD camera you look at, and feel the filters are extra on top, the benefits of using a cooled CCD camera are massive and so are worth the extra money to spend on filters. If however you get the One Shot Colour version of the CCD camera you are looking at, then you should be paying about the same as this DSLR, or less, for a much better camera (for astrophotography purposes). Keep in mind monochrome and One Shot Colour CCD cameras tend to be priced exactly the same - the filters are what costs you extra when buying the monochrome version. ​One of the nice CCD sensors to look at these days is the Sony ICX694. It has a very high peak quantum efficiency of 77%, with very, very high quantum efficiency at Hydrogen-Alpha and across the entire visible and near-IR spectrum. Add to it its insanely low noise performance that requires no darks and tiny readout noise of only 4 electrons, and you have a sensor that will whip the Nikon D810A DSLR into submission. The only reason I see the Nikon D810A DSLR being a good choice is if you do not mind the strongly reduced SNR achievable due to the high level of noise, and intend to use the DSLR for daily photography aside from astrophotography. That and of course, wanting a One Shot Colour camera for astrophotography. Other than this situation, my advice is to keep your money away! If it was much, much cheaper than $3,800, I would recommend it more. 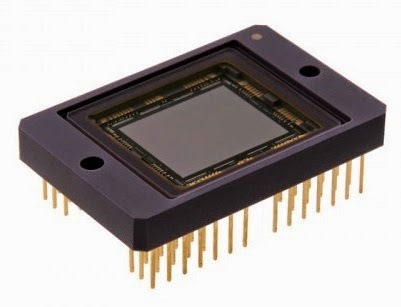 For those wondering, the recommended Sony ICX694 CCD sensor is only 6.1 MP. However, a lot of factors dictate just how good a sensor is for astrophotography and size in MegaPixels is not necessarily a good one by itself. One also has to consider pixel size, aside from the above factors of quantum efficiency, monochrome, dark current noise, readout noise, etc. The telescope being the lens of the camera, can dictate how much night sky your camera captures in any case. No matter what camera you use, it may be a good idea to own a short focal length and long focal length telescope (with low focal ratios if you can as these are faster at capturing image brightness for shorter exposure times!) to have a good range of field of view to image. In any case, when you want to capture an expanded area of the night sky, you can work with mosaics. Today's software is extremely accommodating in making sure your mosaic is very successful and easy to execute.